Never a wildly original player, Byrd nevertheless captured the tenor of his times as a solid, clean-toned, lyrical improviser in the manner of contemporaries like Clifford Brown and Freddie Hubbard. 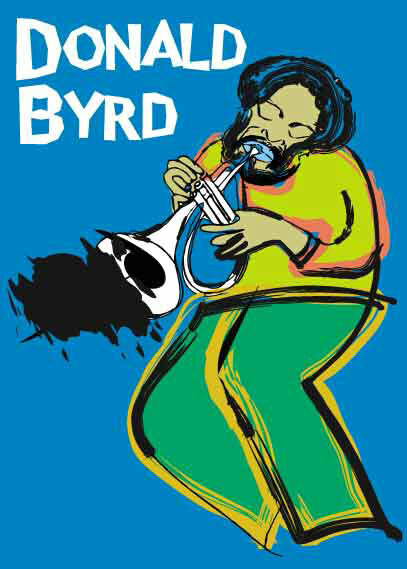 Byrd was perhaps the funkiest horn player of the day and helped bring "ACID JAZZ" to the masses! Back to Donald Byrd Biography and other Jazz Cats!